According to the CDC, every 13 seconds, a poison control center in the United States gets a call about a possible poisoning; and more than 90% of these occurrences happens within the home. Sadly, cleaning products are amongst one of the leading causes of poisoning in both adults and young children–with many chemicals in the home being potentially poisonous, and causing long-term health effects. But don’t dismay! Take a deep breath and relax because we’ve got your back! 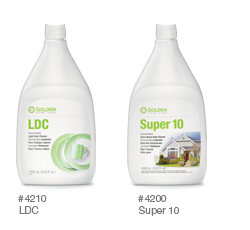 Super10 and LDC will replace 170 off-the-shelf products! They are powerful, earth-friendly, and can even save you major $$$! Not to mention a potential headache from other harmful chemicals! Listen in to the call to hear Clarissa Perez-Pacheco, Director of Product Management, share tips on how you can keep your home both safe and clean with the Golden Home Care products. 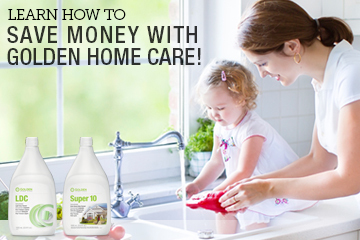 You will also find out how you can save over $700 with Golden compared to other leading cleaning products.